Take care to create low polygon meshes (as few vertexes as possible). I try really hard to get rid of any vertexes I cannot see from the outside. One easy way is to use a Box select on the entire outside of the model, then do a Select-Inverse. Then I delete all the faces. Avoid intersecting faces (unless intersections are intended). These will flicker when shown in world. Avoid creating more than 21844 tris per texture face. Really. Use as few as you can. Avoid small polygons - smaller than a 0.1 centimeter, unless you are working on a very, very tiny object. No one can see level of detail like this. Make sure you apply a shade smooth or a shade flat to all objects. Smoothing will let you get by with far fewer vertexes. 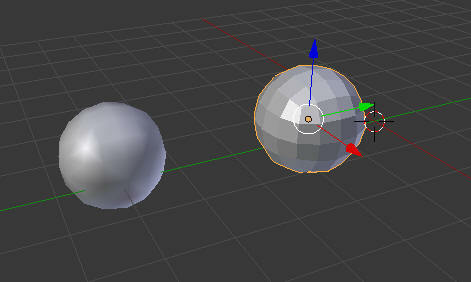 Be nice - Save and add your UV Map to your distribution if your model will have Mod rights. You gave mod, so let them mod it! Make your textures a power of two. Second Life and OpenSim will do this for you. It is best to do it before you upload. Make your textures as small as possible. A 1024 X 1024 file is rarely necessary. You can use any power of two, such as 16 X 256 for a long narrow strip. Combine textures into one map. Use no more than 8 materials on an object.